The BBC is to cut BBC News Channel output further from the end of February, with morning, early evening and late evening schedules changing. Newsnight is to be repeated on the News Channel at 11:15pm immediately after the end of its BBC Two broadcast slot, bringing forward the end of UK-focused news coverage by a further three quarters of an hour, having already cut the midnight news last year. The change will mean the end of the 11:30pm slot containing The Papers and Sportsday. From midnight, the news channel simulcasts BBC World News, meaning developing news stories relevant to the UK, such as severe weather don’t get reported in depth until the start of BBC Breakfast. In the mornings, the 9am news bulletin is also being axed. The 15 minute bulletin, a remnant of the old News Channel output, stranded between Business Live and Victoria Derbyshire since last spring, already saw further changes in recent months, when the bulletin started being simulcast on BBC World News, allowing the News Channel to mothball its flagship newsroom-view studio E until later in the morning. Victoria Derbyshire will be extended to fill the slot. Between 11am and 1pm, the news channel’s output will be rebranded “Newsroom Live”. During early evenings, the 7pm news hour is being replaced by a programme that, according to The Guardian, is currently unnamed, “showcasing the best of the BBC’s reporting from the nations and regions”. This appears to be a throwback to the UK Today programme shown in the early days of the channel, then called BBC News 24, which did just that. For a brief spell in the mid-00s, the News Channel had a short-lived slot called “News 24 Tonight” that featured footage from BBC regional news. Live news is currently broadcast at this time of the evening on BBC Four, in a simulcast with BBC World News. To make up for the loss of live news between 7pm and 8pm, a new hour long news programme will air at 8pm, which will feature interactive elements, inviting viewers to get involved. The BBC is currently in the process of cutting £5 million a year from its news budget, with yet more cuts to be announced in April, with the BBC reportedly reconsidering plans to replace or merge the BBC News Channel with international channel BBC World News, according to a report in last Friday’s edition of The Times. 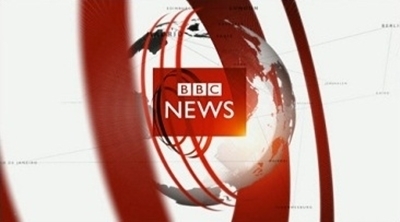 Critics say the output of both channels is already suffering, with viewers treated to often meaningless “headlines” derived from an RSS feed of the BBC News Channel scrolling for hours on end along the bottom of the screen and a lack of UK news coverage during off-peak hours, feeding through to online and mobile services, that often rely on video or audio footage from other BBC outlets to complement the story. The corporation is looking at moving resources to online news and mobile apps following big changes in the way viewers have been consuming news in recent years.